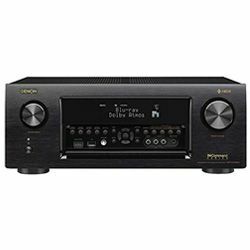 The Onkyo TX-RZ720 review deals with the mid-range 7-channel receiver with clear sound reproduction, including basses, and 110W of power per channel. It provides the smooth and powerful reproduction of all frequencies in the 5Hz – 100kHz band. 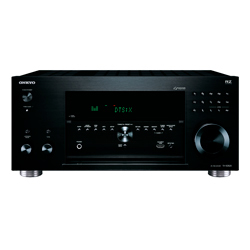 It has all the advanced features and techs to gift the high-quality listening experience. Its THX Certified Select enables the home theatre sound to be no worse than the commercial theater one. It’s a little bit heavy but very stylish, especially in silver. There is one front panel input for the fast and convenient connection the laptop or other gadgets. The USB port is on the rare panel. The aluminum faceplate looks great, but the volume button seems flimsy and does not fit such a fashionable design. 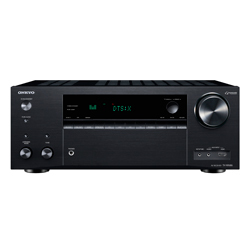 Onkyo TX-RZ720 specs were developed to meet the average customer’s needs of having the credible unit for everyday comfortable use. AccuEQ Room Calibration is the Onkyo’s brand tech that removes standing waves to provide the accurate sound balance. Built-in Chromecast gives access to the numerous musical apps. Built-in Bluetooth provides audio content streaming from any smartphone or tablet. FlareConnect allows sharing music with compatible speakers. It works with the stable wireless protocol Blackfire. 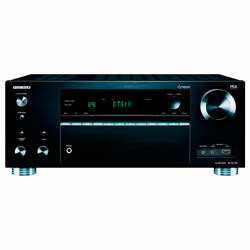 Onkyo Controller with a very simple user interface to browse the music libraries on media servers and mobile apps. AccuReflex arranges the right sound reflection between the ceiling and the other speakers. The unit works great for the home theatre system in its THX Cinema mode. 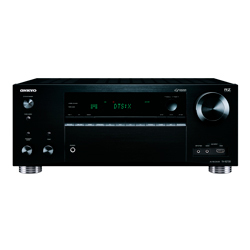 The AV decodes the object-oriented formats Dolby Atmos and DTS:X. Besides, it can up-mix the old soundtracks. This device works flawlessly without heating due to the aluminum radiators with the cooling fan. The AV has the new massive transformer, capacitors, discrete amplifier provide the great AV’s work at any volume. The sound is dynamic and detailed with merely a zero distortion even at low volumes. 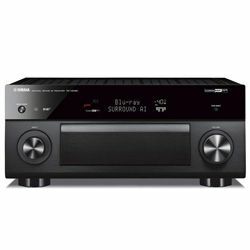 4K upscaling of the HD video content allows connecting Blu-Ray and enjoying the new level of sound reproduction. The DTS Neural: X retrieves the spatial signals from the standard multi-channel formats and reproduces 3D merely identical to DTS:X. The phase-matching bass enhancement is able to make the low frequencies powerful and to leave all the dialogues clear. The VLSC tech reduces noise at high frequencies. 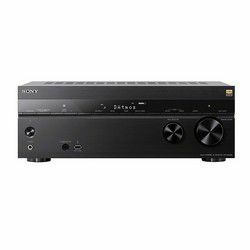 There is a phono input to connect the turntable for vinyl listening. The LAN input for connecting the Internet. Its 7 HDMI inputs support Dolby Vision, HFR10, Hybrid Log-Gamma, BT.2020, and 4K /60p/4:4:4/24-bit video that provides the appropriate sound for 4K TVs of the latest models. The device is very easy to set time. It takes just 5 minutes due to AccuEQ. However, to get HDMI ARC sound to go through it is necessary to turn on the Blu-ray player, and then to switch over to the TV and the AV doesn’t have 2.1 stereo setting. Its dual-zone capability allows listening to, for example, Spotify, outback on zone 2 while others can watch movies inside. The tech is available via free mobile apps for either iOS or Android devices. The Onkyo’s GUI offers a wide range of Tidal, Tuneln or Deezer’s music programs. 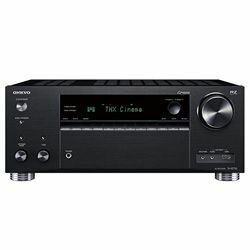 Onkyo TX-RZ720 is made of the reliable high-quality components for everyday use with the maximum performance in 5.2.2-channel object-oriented environment. It is focused on the common home integration providing the accurate and powerful sound. It is irreplaceable for those who have events and parties with many people for giving the possibility to listen and watch the high-quality content in different rooms.